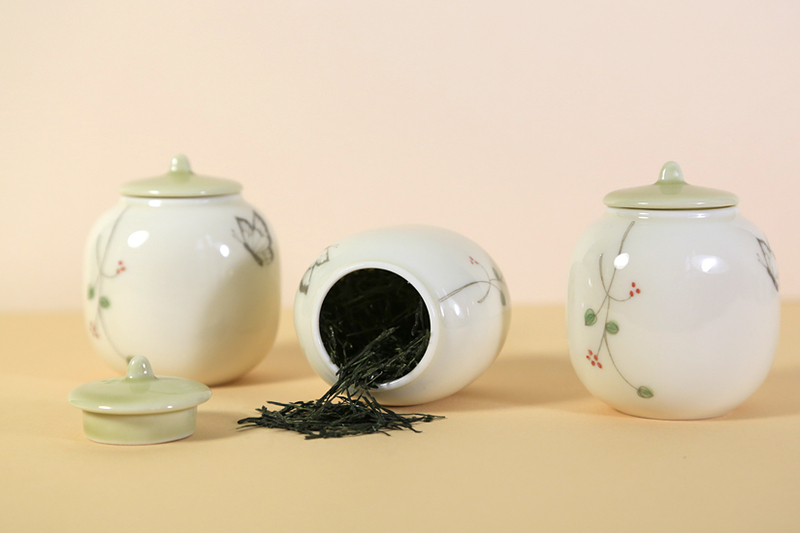 As soon as we saw these adorable Japanese porcelain tea caddieswe knew we had to have them for our customers! 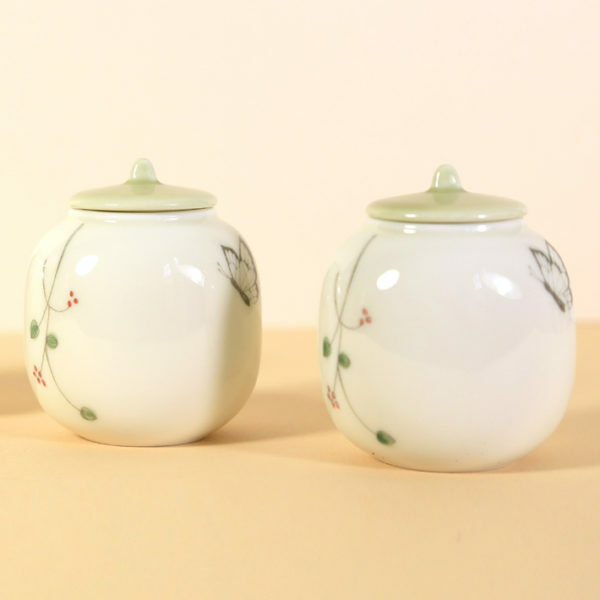 They are perfect for holding a small amount of Shincha or Sencha leaf, and will dress up your tea table when you are serving tea to friends or simply want to surround yourself with lovely things. The body of the container is creamy off-white in tone with a delicate, painted floral spray on one side and a butterfly on the other. The lid is light green. The container will hold about 1/2 oz (14 grams) of Shincha or Sencha. 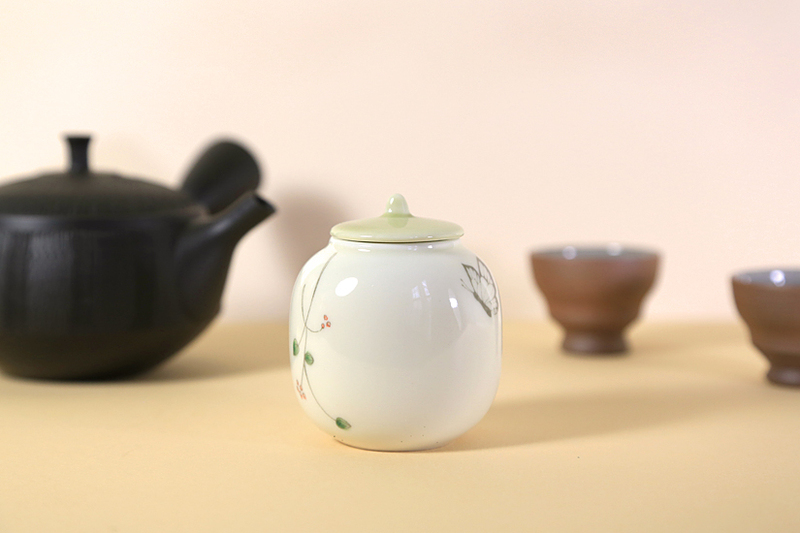 We recommend using a Japanese chashaku (a narrow, thin bamboo scoop that measures approximately a teaspoon of tea or other narrow scoop to lift the tea out of the container.